Schools are extensively investing in modern technology like projectors, animations, AV equipments and computers with the right intention to make learning more effective. However, the core of how we teach and learn has not changed a lot, despite all this extensive investment. That is because, learning is still driven by teacher push rather than a student pull. The real learning will happen when students demand it. At SchoolCountry, we are creating products that create that pull to learn. At SchoolCountry, we have set out to make sure that Learning is fun. We are working to help students to ace Math while having fun. We create world’s most advanced computer based learning games, patented board games and really cool math worksheets and activities. We are working with schools, parents and psychoanalysts to make products that help students rediscover the joy of learning Math and thus create that pull to learn. The success of our products is reflected in the excitement and interest shown by our students from all over the country. The enthusiastic phone calls and excellent feedback from teachers and parents motivates us to strive further in the right direction. The company is promoted by highly experienced team of IIT and IIM graduates who have extensively observed education system in over 10 different countries of the world before launching this company and designing these products. They are guided by scientific research and a passion for making a real improvement in the learning process. 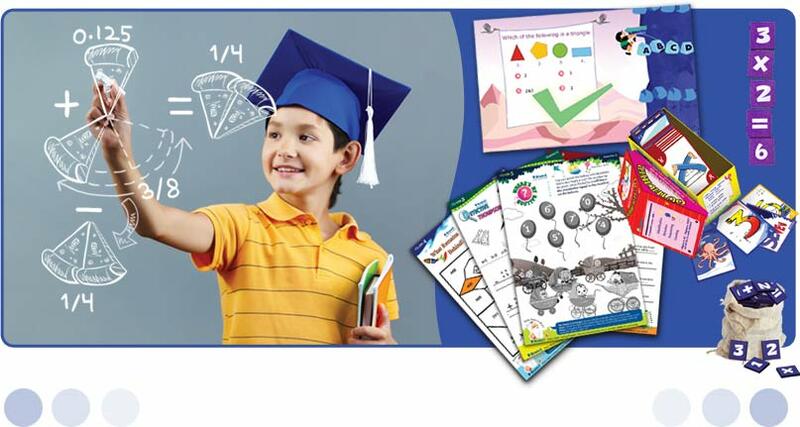 All our products are designed to help students discover the fun side of math. The proven combination of copyrighted games, cool math activities and fun worksheets that has got students excited to learn more and perform better. We cover the complete curriculum as prescribed by NCERT-India and NCTM-Singapore. The curriculum is divided in to 650+ granular skills. We design products to beautifully integrate these Math skills in a fun way. For BrainX, every month, we design high quality questions, print the worksheets and deliver them on your doorstep. MATHALY can be accessed online, anytime, anywhere at your convenience. The child friendly and safe environment has been appreciated by hundreds of parents. Our games are designed keeping kids in mind. Easy to use, durable and fun. Our program is one of a kind. Our smart exercises, fun activities and innovative games are unique and copyrighted that you will not find outside. Our complete program is designed after extensive scientific research. It provides the right combination of motivation, rewards, excitement and competition to keep the student engrossed and excited. Students get an opportunity to play and learn at their own pace. No pressure to confirm to the class and thus they really enjoy learning. Right incentives are weaved in to these products to motivate students to perform faster, while being in the optimal learning zone. SchoolCountry wants to make sure that "Learning is fun". We create some of the most fascinating learning tools for homes and schools including computer based games, board games, cards, worksheets, mathaly and more. We partner with leading education institutions for the same. Gunjan has extensively worked in education space in India where he created and scaled up A2Zexam.com from ground up. It allows education institutes to significantly improve the quality of feedback given to the students. Before this, Gunjan was working with Barclays Capital in New York developing complex trading algorithms. Gunjan has pursued his master’s degree in operations from University of North Carolina in USA and bachelor’s degree in mechanical engineering from IIT Bombay. When not writing complex programs for SchoolCountry, Gunjan loves to go on long drive on his bike. During his stint with McKinsey & Co, Kunal advised CXOs in multinational corporations from 20+ different companies in optimizing their existing businesses and setting up profitable new ventures. Prior to joining McKinsey & Co. in Brussels, Kunal has pursued a Bachelors degree in Mechanical Engineering from IIT Bombay and a post graduate degree in management from IIM Ahmedabad. When not debating about next steps for LogicRoots and SchoolCountry, Kunal loves to spend his time trekking and biking. Head of Research - Mortgages, Nomura Securities, New York, USA. Masters in Financial Engineering from Purdua University, USA. Head of Department of Physics, Resonance, Kota, India. Bachelor of Technology (B.Tech) from IIT Bombay. Head - Warehousing and Distribution, Al-Ghanim Infraventures, Kuwait, Kuwait. Post Graduate Diploma in Management from IIM Indore. You will work as a part of team on real projects, interacting with core team and mentors on regular basis. We are looking for a Social Media Champ. The person who lives and breathes social media (Facebook, Twitter, Pinterest and more). Your role is to increase brand awareness, build traction and divert traffic to our website. You will be working closely with a team of IIT and IIM alumni. You will be jointly developing (and eventually leading) our social media strategy and execution. Lots to learn and earn if you can meet the stiff expectations of the team. If you feel that you are the right guy, then do drop us a line at careers@schoolcountry.com with your CV and contact details. We will get back to you. Also, if your skill is not represented here but you are excited and passionate to join us then do write back. We love to create space for the right person. By the way, below are some reasons why you might like to work with us. If we hire you, you get to work alongside a team of IIT and IIM graduates. We have some of the most driven and motivated people working in the team. We enjoy what we do and we love the fact that we are actually making a difference to the way kids learn. A small, young and dynamic team that loves to work hard and play harder. Random events, food, cricket and more. Plus, there is no boundation of office or the number of hours. If on some days, we decide not to come to the office, then so be it. We love the flexibility and trust our teams to make the right use of it. We encourage you to take challenges and responsibilities beyond your tenure. We trust you and go the whole hog to help you learn. Even if it means taking a new direction just for you. As you work, you build contacts that will last a life time. Jeen Education Pvt Ltd (JEPL) is an association of education professionals connected by a commitment to improve learning and school education through innovative solutions for school students. JEPL and its team is our marketing and sales partner. They are helping us take our innovative Math solutions to more schools and students. Liked what you saw? Spread the word!